What’s the matter with money? Do you see something wrong with this picture? 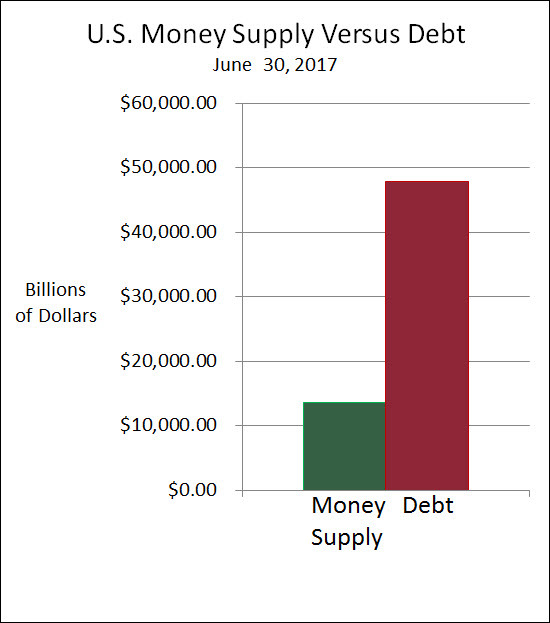 The graph above shows the United States money supply compared to the combined U.S. household, business, and government debt. It hasn’t always been this way, but it’s been moving in this direction for many years. The graph below shows the progress over the fifty years from 1962 to 2012. As a logical person, you might wonder how this could be possible. Since debt comes from borrowing money, it would be sensible to presume that some money would have to be there before anyone could borrow it. 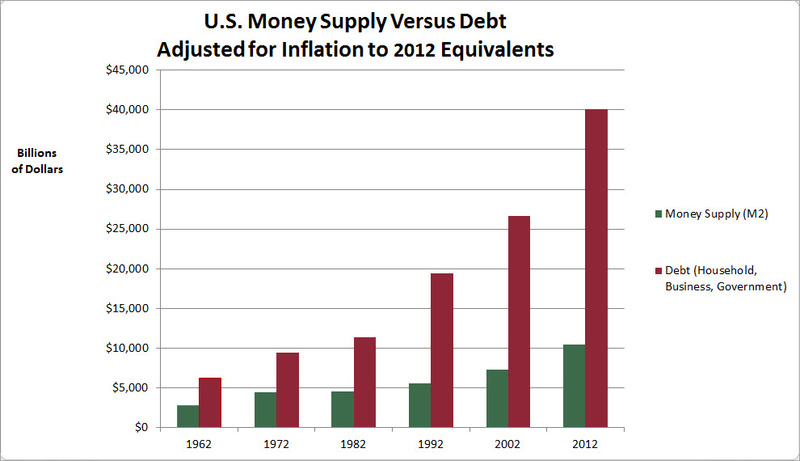 So how could there be more debt than money? It’s a good question. The simple answer to it is that our money system is not logical. The reason for what you see in the graphs above is not something commonly discussed in politics or mainstream media. The real reason is contained in the flawed structure of our money and banking system. And since this same system is used throughout the industrialized world, the same phenomenon is happening worldwide. This site is devoted to exposing the flaw and bringing an understanding of the situation to the ordinary people who are affected by it every day. It’s also here to suggest that the human race could do better, and to encourage some of the better ideas that have already been advanced. The basis of what’s wrong with the money and banking system lies in the nature of money and how it is created. What is money? Where does money come from? Home * What is money? * Where does money come from? It would be logical for some people to be in debt some of the time, but can it possibly make sense for most people to be in debt all the time?